Inspired by Nate Swick and George Armistead's assessment of some of the finest vagrants to grace the American Birding Association (ABA) recording area during 2015, I decided to compile an equivalent 'Top 10' for the Western Palearctic (WP) region. The ABA and WP recording areas are roughly on a par, both in terms of size and list of recorded species, with both producing stunning vagrants on an annual basis — and some of 2015's standout records deserve to be celebrated. Britain and Ireland sit in the extremely fortunate position of being geographically well placed and afforded high observer coverage. The list of vagrants recorded here is enviable at the best of times and 2015 produced many fantastic records. David Campbell has already covered these in his excellent Review of the Year (Part I, Part II), and so Britain and Ireland are not included in this article. In fact there were so many wonderful occurrences around the WP region in 2015 that this was an easy choice, and a true testament to the fact that stunning vagrants can appear in any corner of this diverse biogeographical region. Inclusions in this ranking are not necessarily vagrants to the WP in its entirety. Some breed in parts of the region but are unheard of, and thus outstanding finds, in other parts. Some were seen by precious few, others twitched by many (thus raising the profile of their occurrence even higher). Of course, there is a considerable degree of subjectivity to this list and I appreciate that readers may disagree with some of the choices, or believe that other records should have been included — I genuinely struggled to put these ten in to any sort of order and accept that it could easily be shaken up to look completely different. Your views are most welcome in the comments section at the foot of this article. 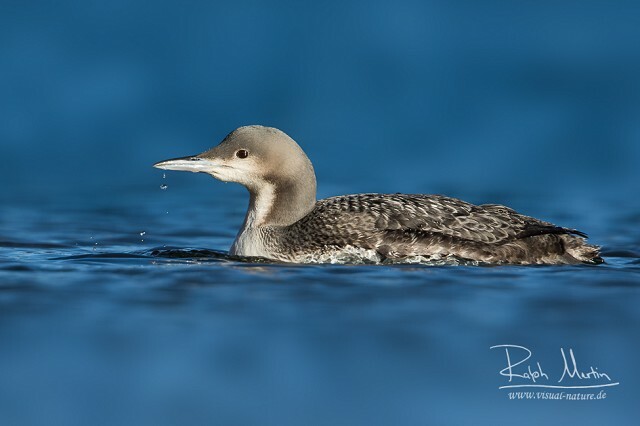 Since the first WP record in Yorkshire in January 2007, Pacific Diver has established itself as a rare but regular visitor to the region as identification awareness grows. 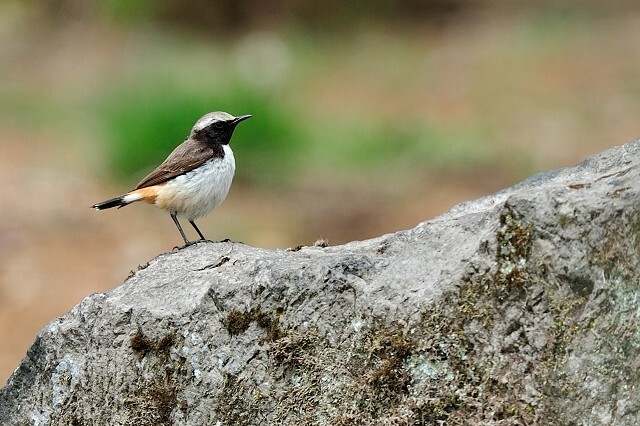 While there have been one or two inland records, none have been anywhere near as displaced as the bird found at Lake Silvaplana, some 1,800 m above sea level in the Swiss Alps. Any diver is a notable discovery in Switzerland and so for the one from the other side of the planet to drop in is quite stunning. 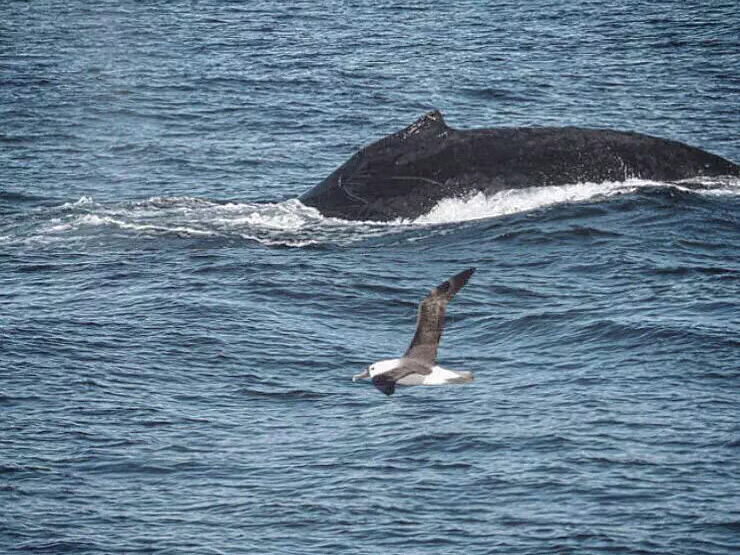 Non-birder Jared Mein was on a whale-watching trip out of Reykjavík, Iceland, on 1 July when a seabird inconveniently photo-bombed his image of a surfacing Humpback Whale. When looking at the photo several days later his uncle, Mike King, was shocked to find that the bird was an albatross — and more specifically, having been identified after going 'viral' on Twitter, Iceland's first Yellow-nosed Albatross! An amazing bird discovered in the most contemporary of circumstances. As the entries here go to show, it seems anything is possible when it comes to bird vagrancy. 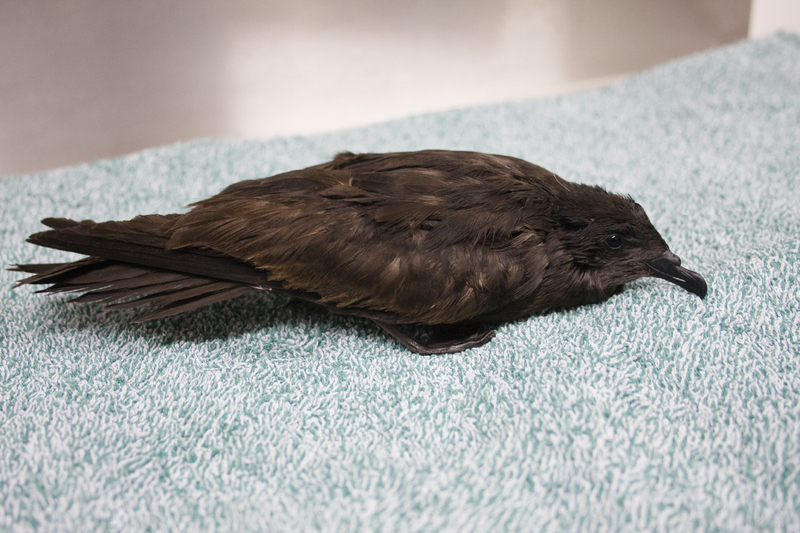 Bulwer's Petrel and Germany are species and country names you'd never anticipate having to string together in the same sentence, yet that's what happened on 23 July. Yet this wasn't a fly-by record from the country's North Sea coast so much as a bird found moribund in a field near the town of Ellwangen — about as far as you can be from the sea in Central Europe. To put the record in to perspective, the North Sea coast is 600km away at its closest and the Bay of Biscay over 900km; at 500km away the Mediterranean may have been slightly closer to Ellwangen but the small matter of the Alps lies between. Whichever route this petrel took to its final resting place, it is a truly exceptional occurrence that quite simply bewilders. What possessed this bird, a species rarely seen from the European mainland, to fly so far inland? The answer is that we will never know. Though January's discovery of large numbers of Sudan Golden Sparrows in this south-western outpost of the WP region was celebrated, it was the occurrence of a Golden Nightjar along the famous Aousserd Road on 2 May that truly captured birders' imaginations. 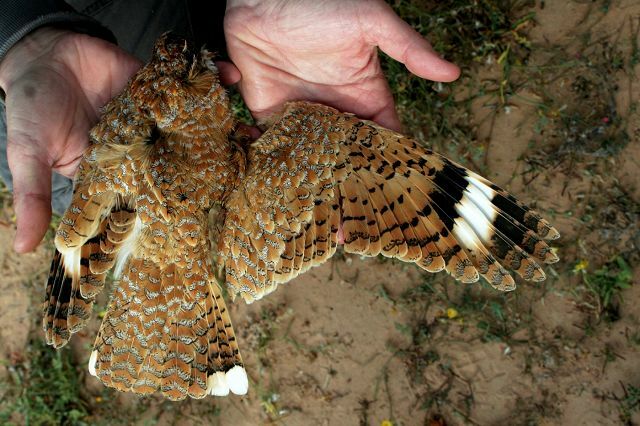 A first confirmed record for the region, this individual was discovered in remarkably tragic circumstances as it was hit by a car driven by Polish birders who were out spotlighting for mammals. Given its secretive nature and the acute lack of coverage in Saharan areas of the WP, this stunning species could well be much more regular than this sole occurrence suggests. However, this year's record only adds to the intrigue and mystique of this under-watched region and there is still so much we have to learn about the movements of little-known, nomadic Sahelian species. Full article on this bird here. 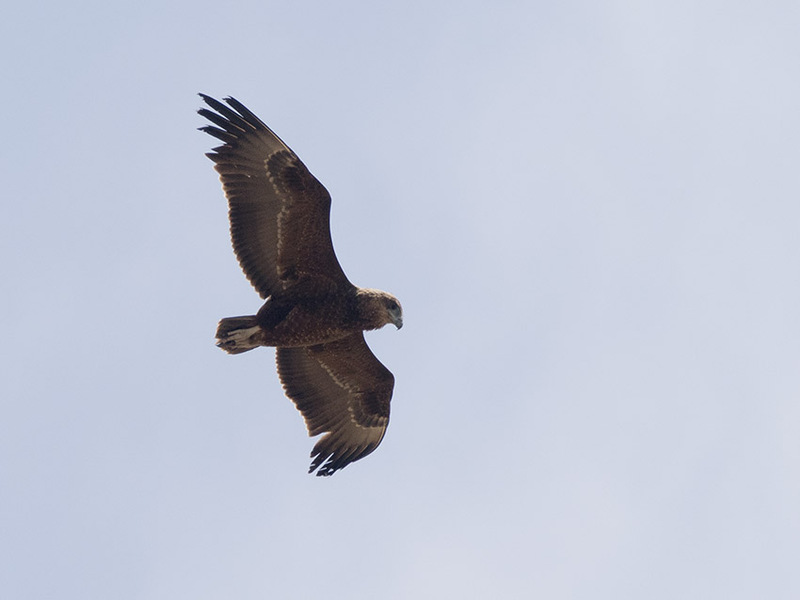 The discovery of an immature Bateleur on Israel's Judean Plains in late May was significant not just for the rarity of this sub-Saharan eagle in the WP, but for the fact it would go on to become the first truly twitchable individual of its kind ever seen in the region. 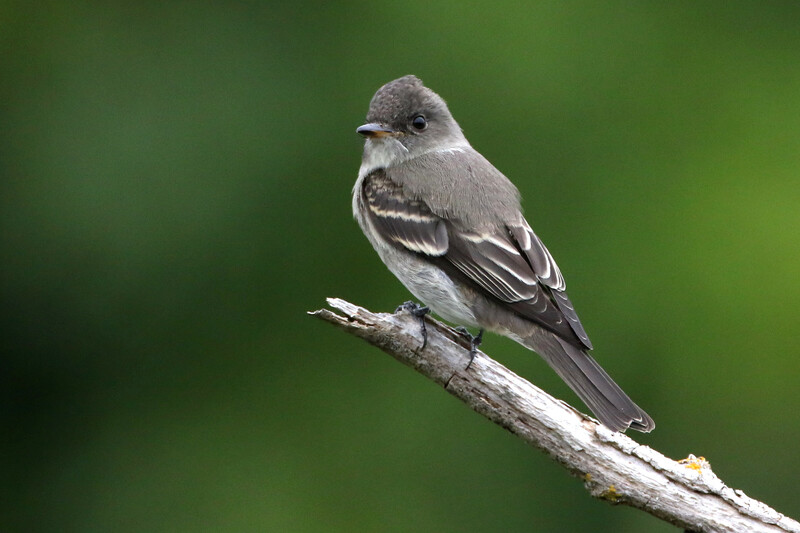 Several previous Israeli records have been fleeting, involving birds actively migrating in spring, but this roving immature was seen regularly throughout the summer and was widely twitched by birders from as far afield as Britain, France and Sweden. What's even more surprising is that the bird has since gone on to winter in the area, and is still present at the time of writing (February 2016) — a truly one-of-a-kind occurrence. Full account and further photos can be found here. 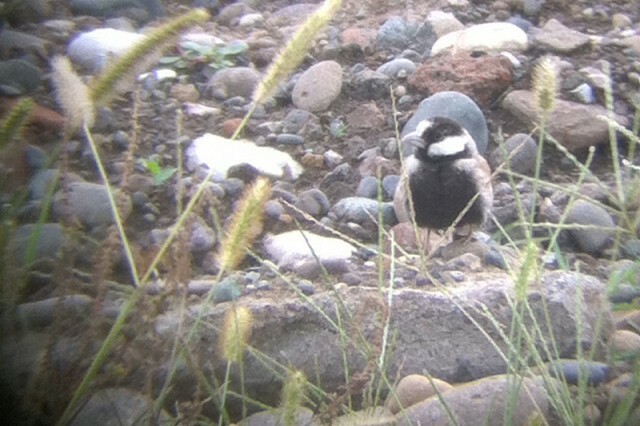 Rather in the same vein as the Kurdish Wheatear in France, the discovery of a male Black-crowned Sparrow Lark — a semi-resident bird of the Sahel and Arabia — at Batumi, Georgia, on 2 October was utterly bewildering. It's one of those records you read about and think: "surely this is a mistake?!" Once again, this bird pushes the boundaries of what we consider possible for lost waifs. Not only is this a stupidly unlikely vagrant but males are also one of the best-looking larks to occur on the planet, and the finder must have had a proverbial heart attack when it hopped in to view! For the second summer running a stunning adult Black-browed Albatross returned to the German island of Heligoland. First picked up on 21 April — a month earlier than in 2014 — it made regular short visits, sometimes up to three days in length, to the island until 26 July. 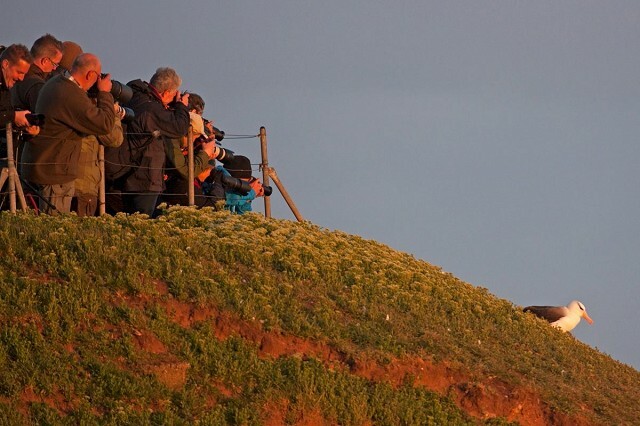 Over this time birders from as far away as France, Belgium, Sweden and Finland managed to successfully twitch the bird on the cliffs at Lange Anna, where it sometimes afforded views to within inches. As the summer wore on and the prospect of finding a mate dwindled, the bird became more restless and began to tour the North Sea. It was seen quite regularly in Denmark, most often visiting Agger Tange, on the west coast, almost daily from 31 July-17 August, where it would associate with Mute Swans before incredulous birders watched it being attacked by a pair of White-tailed Eagles on the latter date. It also famously visited Minsmere, Suffolk, on 12 July — though was all too brief to draw an appreciative British crowd. While Black-browed Albatross is a reasonably regular vagrant to the region and several previous individuals have made European seabird colonies their temporary homes, this bird's extraordinary behaviour over the past two summers has brought it great fame throughout the European birding community and no doubt many more will be hoping for an opportunity to pay homage to it, should it return in 2016. A wonderful account of this bird by Felix Timmermann can be found here. A second entry from the WP's vagrant capital that is even more unlikely than the presence of two Eastern Wood Pewees on the same island. 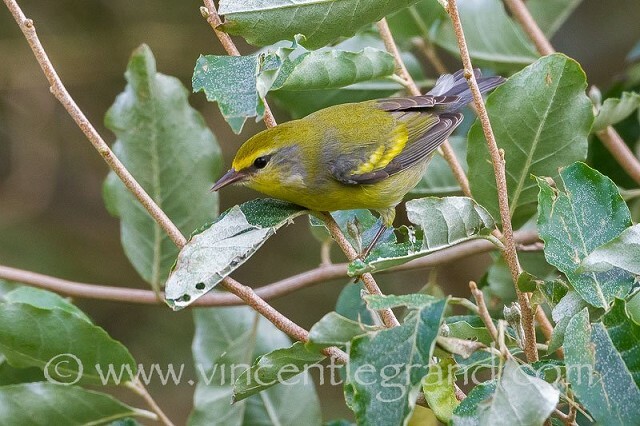 A crazy-looking warbler on Corvo on 20 October quickly transpired to be a Brewster's — this being a hybrid between Blue-winged and Golden-winged Warblers, two of the most stunning of all North American warblers. 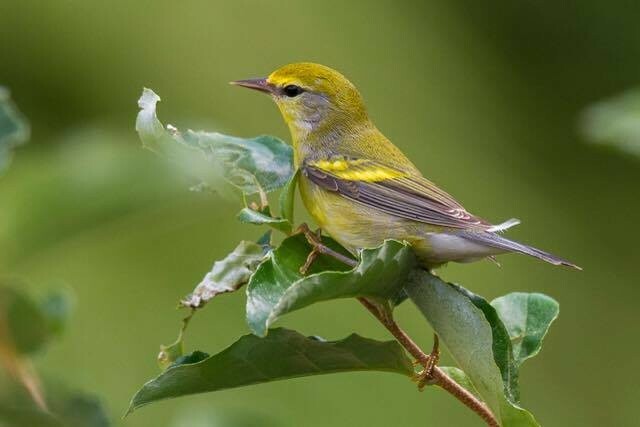 Hybrids between the two can be quite numerous in some of the contact zones, but they are nonetheless relatively localised and vastly less common than either of the two parent species overall — one east-coast US birder estimated that he would see just one Brewster's for every 50 Golden-winged. With Blue-winged and Golden-winged each having occurred just twice in the WP to the end of 2015, both parent species are extremely rare vagrants to our region themselves and the odds of a hybrid occurring on this isolated rock in the middle of the Atlantic must have been stratospheric. Mixed heritage means it will fail to make it on to any official list, but that doesn't mean its occurrence should be any less celebrated — what a bird, and arguably one of the region's greatest ever vagrants! And so to conclude this inaugural annual assessment of the Western Palearctic's finest avian waifs and strays. It wasn't the most exceptional of years across the region yet there was still plenty on offer — to think that occurrences such as Amur Falcon in the Faroe Islands, a hugely popular and absurdly tame Asian Desert Warbler in the Netherlands, White-crowned Black Wheatears in France and Poland, twitchable Pink-backed Pelican in Israel and Cape Gull in Lisbon all failed to make the top 10 just goes to show what a diverse and exciting part of the world the Western Palearctic is for birding. Let's hope for plenty more surprises throughout 2016.